April is all about the earth and in honor of Earth Day, we wanted to take a moment to recognize an amazing organization in the Los Angeles area that is constantly working towards a healthier planet. With a focus on the ocean, Heal the Bay was created 34 years ago in an effort to help make the bay a thriving, healthy place to live. The month of April is an important one for Heal the Bay because they have officially recognized it as Earth Month and have planned planet-friendly activities all month long. Be sure to get involved in the beach cleanup on actual Earth Day or swing over to Ben & Jerry’s to get a chance to meet the team behind Heal the Bay and snag a free ice cream cone! Santa Monica is one special place and so is our earth, which is why we applaud Heal the Bay and can’t wait to see what this April brings. 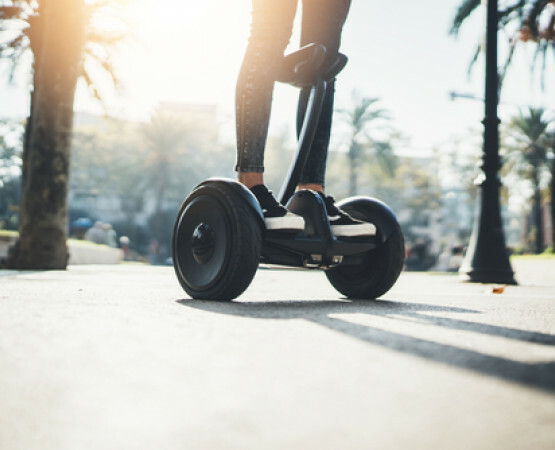 There are tons of ways to get around in Santa Monica, but one of the most fun ways to see the entire city is by Segway! Suit up and bring out the entire family for this unique way to see what Santa Monica has to offer. This two-wheel tour will take you along a bike path throughout all the coolest parts of downtown and lead you to the most happening area of Venice Beach. We know you might be here for sightseeing, but the best part is always the people watching! You’ll see everything from famous graffiti walls to the infamous Muscle Beach and Venice Skate Park. This tour is perfect for you and your teens or as a romantic trip for two. See what all the rave is about and get wacky with your tour guide on this quirky tour. In Santa Monica, we welcome and celebrate the arts. We believe that art and culture are what make our society so unique and colorful. One of our favorite theaters that we support just happens to be one of the oldest in Santa Monica, and it's just a few blocks away from the Promenade. The Miles Memorial Playhouse is our neighborhood theater, built in 1929 with the funding provided by a passing J. Euclid Miles. He wanted the theater to be built for children and young artists as a way to express themselves in a public arena. Fast forward to 2019 and the lovely month of February, Miles Playhouse is doing just that. Fireside at the Miles is celebrating their 10th Season and want you to come along. Enjoy organic snacks, an open fire, and incredible performances from all different genres. Cozy up and support our local theater and flourishing art community! It is no secret that Food Trucks have paved the way of affordable fine dining and delicious fusion restaurants since they rolled into our lives. These pop-up establishments took the country by storm a few years ago and the fascination has continued to grow ever since. 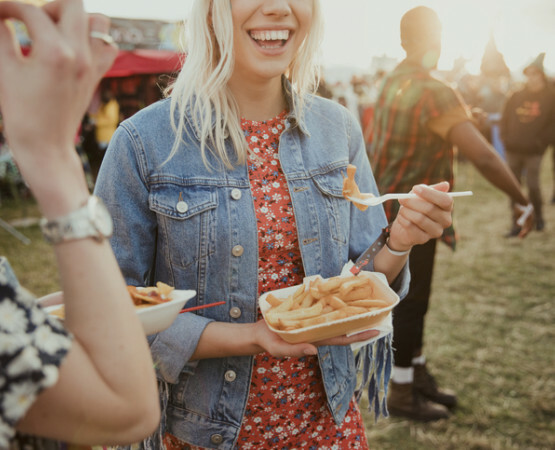 Santa Monica has tons of incredible eats all over the city, but a fun way to experience more than one flavor at a time is by attending the Santa Monica Food Truck Lot that pops up every Tuesday. Just a short trot away, you can find everything from poke bowls to taco trucks, the options are endless in this little lot! The lot is located between Main Street and Ocean Park Boulevard and is full of fun and locals. See what the Santa Monica community is all about while enjoying some of the best food around town. It's time to spice up your life mid-week with this fun and creative way to experience the local food scene! We think the holiday season is best spent near a beach, which is why you cannot beat spending your holiday season in Santa Monica. Enjoy the rush of the ocean breeze intertwined with slightly cooler weather and sunshine all year long. One of our favorite things to do to get us in the holiday spirit is to try our hand at ice skating on the Third Street Promenade's ice skating rink. Grab a little hot chocolate and rent a pair of skates and you’ll feel the holiday cheer in no time. This ice skating rink is open until January 21st and is the perfect outdoor activity for a date night, fun with the kids or a way to explore downtown Santa Monica. After you glide around on the ice for an hour or two, stroll on over to the Promenade where you can find loads of shops and restaurants before finding your way back to the Shore Hotel. Plan an entire day out on the Hollywood Hills with a light hike to see the Hollywood sign and a pit stop at the infamous Griffith Observatory. 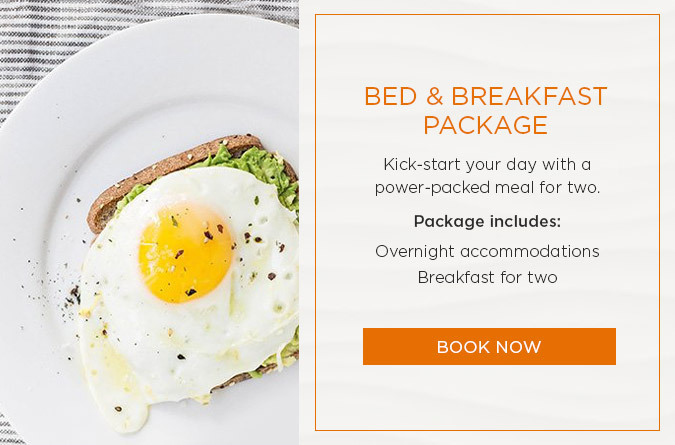 Start your morning off with an energizing breakfast to get you ready for an action-packed day out on the hills. Get dropped off or leave your car on Mount Hollywood right near Griffith Park for a short two to six-mile hike to see the Hollywood sign and the gorgeous sights of downtown Los Angeles. Be sure to pack plenty of water for your hike, it is important to stay hydrated out in the heat. After you complete your hike, head over to Griffith Observatory to get a sneak peek into the cosmic life of outer space. This fun-filled day is a perfect mix of outdoors and education and is the perfect way to spend some time in the city solo or with your entire family. If shopping is on your agenda while visiting Santa Monica, be sure to stop by the Third Street Promenade that is located right downtown. This open-air market is perfect for any day of the week and is completely car-less, making it a fun, safe way to shop outside. This shopping district has a diverse mix of big-brand stores and smaller boutiques as well as delicious restaurants dotted throughout all three blocks. Third Street Promenade is a perfect weekend or weekday activity for the entire family. You can go directly from the beach to shopping at your favorite stores within minutes. There are also fun activities like pottery painting and art galleries intermixed between all the shops. Santa Monica is a melting pot of art and culture. Experience it firsthand by stopping by this locally loved spot and getting a healthy dose of the urban outdoors. Californians have perfected the art of exercising outdoors, and it makes sense because one of the best parts of living in Los Angeles is the incredible year-round weather. The mild climate and sunny days make spending time outside such a treat. If working out is on your agenda during your vacation, make sure you stop by the Santa Monica Stairs to workout like a true local. It’s approximately 170 stairs to the top and is a pretty intense workout. Oftentimes you can spot actors, actresses, musicians and even the occasional professional blogger doing their thing. Oh, and did we mention that this activity is completely free, aside from the parking at the top. Lace up your running shoes and make your way over to this iconic exercise spot. After feeling the burn, your eyes will be blessed with incredible views of the beautiful local hillside homes and the sparkling Pacific Ocean. We only have one rule of thumb when it comes to relaxing by our Eco-friendly pool--sit back, unwind, and don't use anything Mother Earth has not created. Protect your skin against the harsh summer rays with Raw Elements sunscreen from our station at the pool. It's completely organic, delightful, and it doesn't have harmful run-off because it is oxybenzone free. Organic ingredients such as beeswax, black tea, natural zinc oxide, and cocoa butter make it feel luxurious while also environmentally friendly. Spend a guilt-free day on one of our poolside loungers--your warm summer glow will be shinning just a little brighter because you are living in harmony with the environment and nurturing your spirit and body. 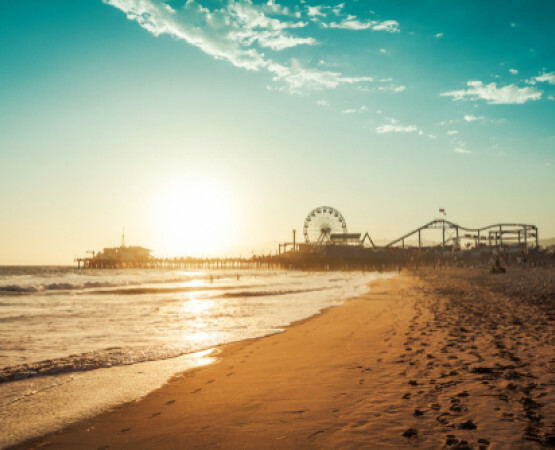 Just steps from our hotel is the Santa Monica Pier, famous for its carnival rides, games, food vendors, and more. However, one of the finest attractions is the charming Santa Monica Pier Aquarium. Managed by the environmental nonprofit group Heal the Bay, the charming aquarium houses 100 local species of fish including seahorses, starfish, and moray eels. Observe the harmless horn and swell sharks swimming in their open-air tank, or get handsy in the touch tanks that holds sea cucumbers, sea urchins, and hermit crabs. It’s free for children under 12 years old and only five dollars for adults. On Fridays, they host interactive Sea Star Feedings at 2:30 pm, where patrons can lend a helping hand. Through education, beach cleanups, and legislation Heal the Bay is striving to reduce pollution and promote a thriving underwater ecosystem. Be a part of the restoration and visit today. Candytopia is a whirlwind of rainbow-colored sweets, fantastical Willy Wonka-like displays, and candy-created renditions of famous artworks such as the Mona Lisa and Van Gogh's Starry Night. Similar to the Museum of Ice Cream that had temporary exhibitions in New York, Los Angeles, San Francisco, and Miami, the popup is only open for four-month closing on July 4th. For most people, it’s hard to imagine a six-foot-long Sprinx sculpture made from 22,000 gummy bear and black licorice, and that’s ok. Come and witness this innovative and interactive space that will make you feel like a kid again. And if you are a kid, it may become the highlight of your summer. Basically, it’s as sweet as it sounds and catching the attention of A-list celebs such as Sarah Michelle Gellar, Tyra Banks, and more. Candy and cotton candy samples are handed out throughout the exhibition, so come for dessert. For tickets and additional information, click here. EEEEEATSCON Returns Santa Monica! Yeah, it’s a Thing. Imagine a music festival, where restaurants and chefs are the headliners. Sounds too good to be true? Step up and join The Infatuation for their second EEEEEATSCON hosted at The Barker Hangar on May 19, 2018. For one day only, foodies can sample full-sized portions from more than 20 tightly curated local and cross-country restaurants. Try dumplings from Lunasia Dim Sum House located in San Gabriel Valley or indulge in a slice of Roberta’s Pizza from Brooklyn. Musical acts such as The Spencer Lee Band, Gavin Turek, Centennial High School Marching Band, and DJs Mr. Sonny James, and Orange Calderon, will be setting the vibe. While panelist such as Missy Robbins, an award-winning chef from Brooklyn, and Chris Sayegh, a cannabis infusion chef, will be giving inspiring talks and demonstrations. There are over 14 speakers, making us wish the event was two days, not just one! However, we are not complaining. Instead, we are marking our calendars and getting ready for a delicious California day in sunny Santa Monica. Simon Montagu McBurney once said, “Theater is the art form of the present: it exists only in the present, and then it's gone.” To that end, listed below are three fabulous reasons to catch a live performance this month. First, don’t miss the Morgan-Wixson Theater’s presentation of the timeless Louisa May Alcott story, “Little Women.” Showing through April 14, the story follows the lives of four sisters and their experiences growing up and into womanhood both during and after the Civil War. Click here for tickets. Can’t get enough “Phantom?” Check out “Love Never Dies” at the Pantages through April 22. The passionate love story of “The Phantom of the Opera” continues with this Andrew Lloyd Webber sequel. Book your tickets now for an enchanting night of musical brilliance here. Lastly, be sure to catch a performance of one of the most successful and longest-running thrillers ever brought to the stage - the Group Rep’s production of “Deathtrap.” Showing through May 20, this play’s wicked twists and turns will have you on the edge of your seat, and the ending is a shocker! For details and tickets, call (818) 763-5990, or click here. Spring temperatures make outdoor adventures irresistible. However, instead of doing the usual routine, opt for something a little bit different. Check out our list of fun and unusual things to do, for a vacation to remember. For Instagram-worthy shots, head to the end of the Santa Monica Pier where the first highway within the U.S. highway system comes to an end. Nothing but the ocean could stop this famous road, also known as the Mother Road. Visit the actual house where Frank Gehry lived, tucked away in a quiet Santa Monica neighborhood. Located at the intersection of 22nd street and Washington Avenue, the house is impossible to miss with it’s interesting architectural elements and style. (Please observe from the outside, this is a private home). A Camera Obscura exists within the sometimes locked room of a midcentury building in Palisades Park, just steps from the Santa Monica Pier. A visual pleasure for photography enthusiasts, this hidden treat is a voyeuristic way to experience a different view of Santa Monica. When you are not relaxing at our beautiful eco-friendly hotel, head outdoors and check out these cool and unusual sights. Commemorate your love by sharing a passion for the environment. We at the Shore Hotel, value being ecologically responsible above all else. Let us lead you through a romantic day, that is good for you and for the globe. Swim in Our Solar Heated Pool: Feel the power of the sun as your take a refreshing dip in our solar heated pool. You are not on vacation until you’ve gone swimming. Play Games in the Garden: Return to simpler times and engage in fun garden games. Ditch electricity and spend quality time together. Minimize your carbon footprint while celebrating your love--it’s the most romantic thing you can do for each other and the earth. Tap into the best version of yourself with these new year’s resolutions that will have you feeling refreshed, enlivened, and excited for 2018. Workout in the Fitness Center: Head to our state-of-the art gym for a heart-pounding workout that fits your needs. Our machines have iPod compatibility, ideal for playing DJ to your own fitness session. Leave the calories of yesterday behind, and soar into the new year revealing your 2018 sculpted muscles. Head Outdoors for Exercise Under the Sun: Take a brisk stroll along the shore or pick up a complimentary beach cruiser for a day of fresh air and fun. After breaking a sweat, take a dip in our solar-heated pool for a perfect day under the sun. Relax: A crucial element to getting in shape is rest and relaxation. After pushing your body, it’s time to let it chill. Snuggle up on poolside lounge chairs or head to your luxurious room, where slippers and turn down service are available upon request. Kick off the new year with these fun and active ways of getting fit. Got the winter blues? Of course not, you are in sunny Santa Monica. However, our spirits can always be lifted higher--get into the holiday spirit with these can’t miss activities. Due to new technology, outdoor ice skating rinks are popping up throughout Los Angeles. ICE at Santa Monica is our favorite, not just because it’s close by, but because there are 8,000 square feet of frozen ice for your pleasure. Take a spin around the rink and have a great time. Treat the little ones to a day of cheer with fun lovable Disney characters. Stroll down Main Street USA basking in the glow of Christmas lights. Catch “snowfall” by the 60 foot tree and make memories for a lifetime. Head here any day of the week where brunch items are served from 8am to 5pm. The fried egg sandwich on house-made country bread is not to be missed! For a taste of true Southern Californian cuisine, follow the scent of freshly baked breads and pastries to M Street Kitchen. It’s a modern take on American cooking, and focuses on seasonal ingredients, making each sandwich and dish as pure as it’s originating farm. Elevate your vacation with a weekend brunch at this artisanal restaurant tucked away inside of historic Brentwood Country Mart. Pick from house-made croissants, cookies, seasonal muffins, and more – or select from prepared foods like cheeses, chocolates, charcuteries, fresh produce, wine, and beer. The homemade Brioche french toast is a staple and will absolutely sweep you off of your feet! Now stop reading and start eating... our mouths are already watering. We may be far from Salem, but that doesn’t mean we don’t have witches, goblins, and ghouls--come celebrate Halloween California-style. Join half a million costumed attendees in what is sure to be a star-studded night on the West Hollywood streets. You never know which celebrity may be looming under that Venetian mask. Previous years have included performances from Boy George, a Rocky Horror Picture Show tribute featuring Tim Curry, Pink, Robyn, and more. The event takes place on All Hallow’s Eve, October 31st, from 6 to 11 p.m., and spookily stretches down Santa Monica Blvd between North Doheny Drive and La Cienega Boulevard. It’s the biggest party of the year and includes six stages with musical performances, drag queen shows, stand-up comedy, celebrity appearances, and more. So grab your most risqué costume and head to the festivities for an unforgettable night. No tickets are necessary. Visit West Hollywood Carnaval for more information. Museums in America are visited 850 million times a year. This outranks the combination of major league sporting events and theme parks combined. Not every city has world-class museums to visit, however, Los Angeles is intellectually saturated and properly suited with some of the best institutions in the country. If you are in the mood for contemporary art, we suggest visiting the Los Angeles County Museum of Art (LACMA). LACMA is the largest of its kind in the western United States and features over 128,000 pieces. Currently on view is Chagall: Fantasies For The Stage, focusing on Marc Chagall’s relationship with performing arts and featuring his vibrant costumes designed for the iconic ballets, Aleko by Pytor Tchaikovsky, The Firebird by Igor Stravinsky, Daphnis and Chloe by Maurice Ravel, and The Magic Flute by Wolfgang Amadeus Mozart. The exhibition is on view until January 7, 2018. Click here to purchase tickets.